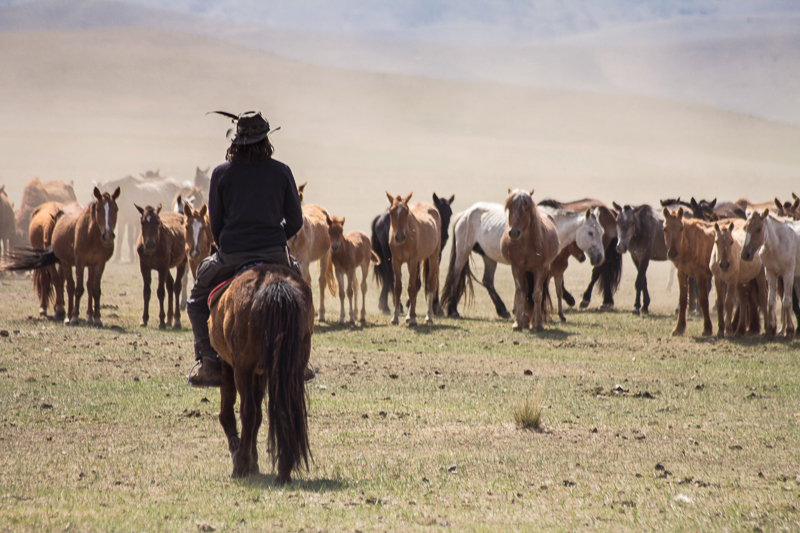 A multi-cultural caravan is born in the "Land of the Blue Sky"
Out in the wild steppe of Mongolia, a new horse caravan is on the move. Their plan? 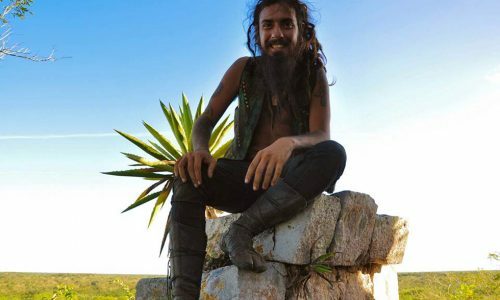 To live an alternative, nomadic lifestyle while travelling across this country known as the “Land of the Blue Sky”. 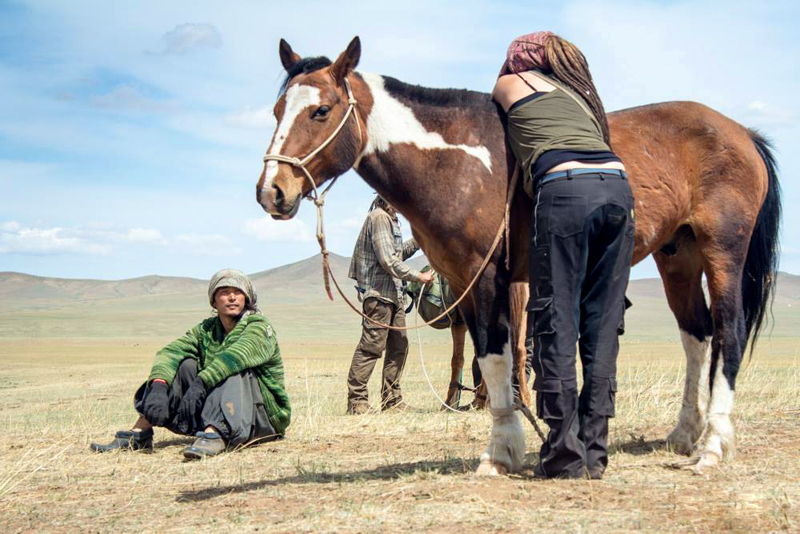 The journey of the Mongolia Horse Caravan began in April 2015. 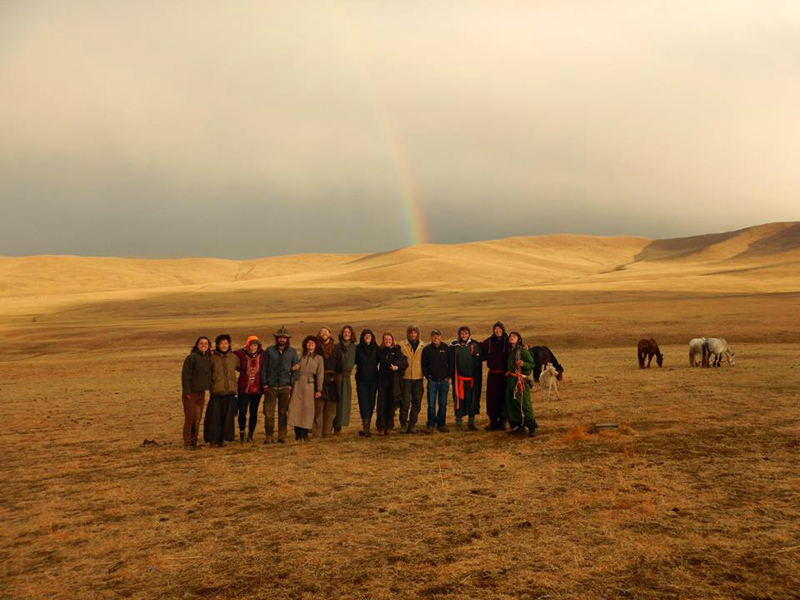 “After gathering in Ulan Bator, we started our seed camp where we connected with our horses”, says the multi-cultural caravan, made up of 14 people and 25 horses. 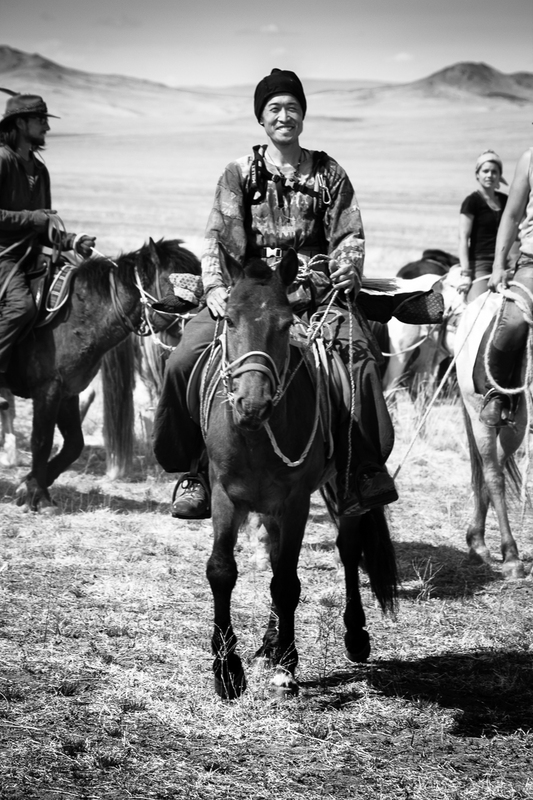 “We will ride through Mongolia on riding horses and with packing horses. 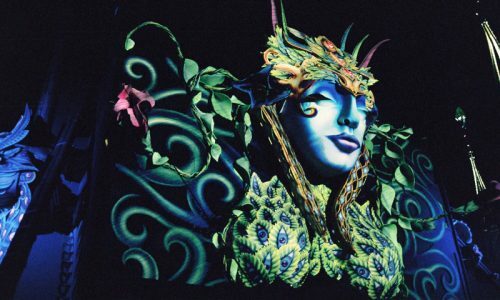 We love the beautiful nature and the nomadic culture of Mongolia. 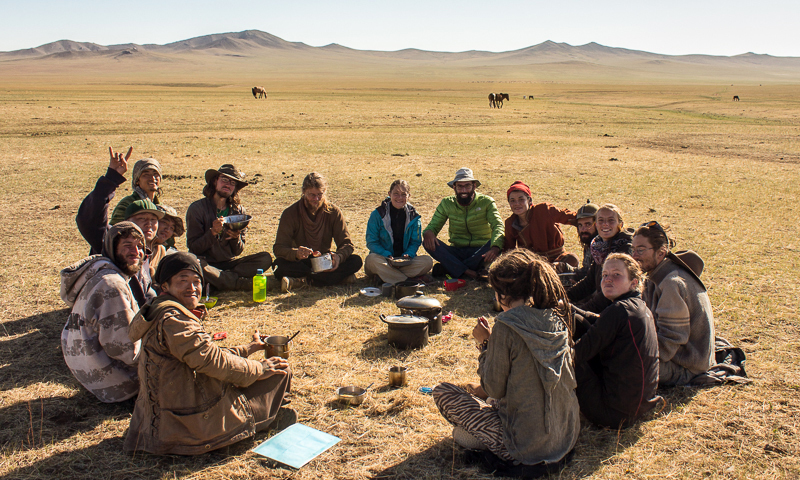 Our Mongolian friends are so helpful, leading us into the nomadic lifestyle”, says the group. 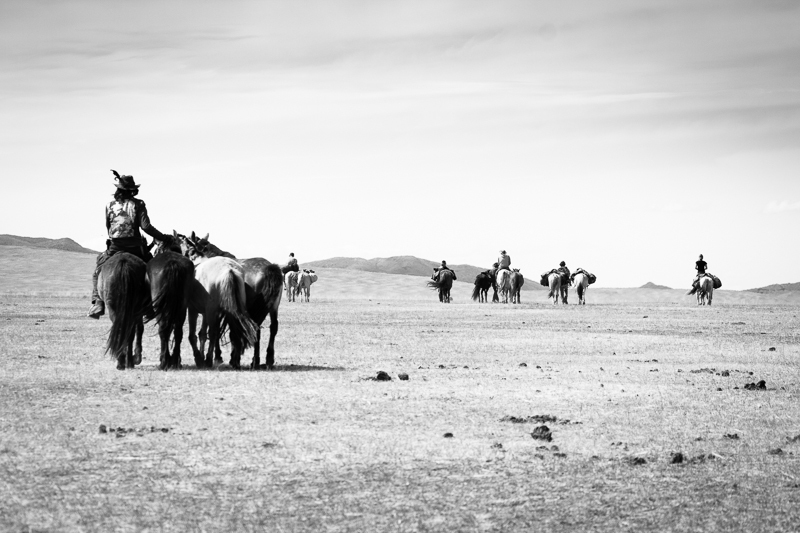 The horse caravan in Mongolia on the move. 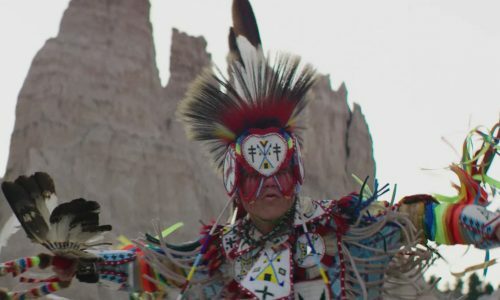 The roots for the idea of this multi-cultural caravan come from the other side of the world. 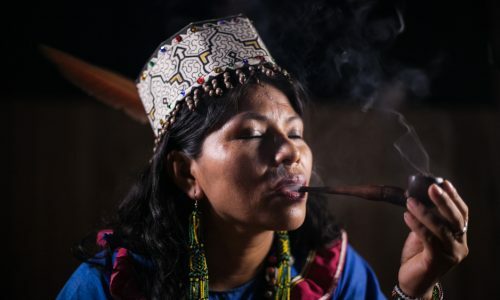 Since 1998, an NGO known as Nomads United has been traveling across Latin America. 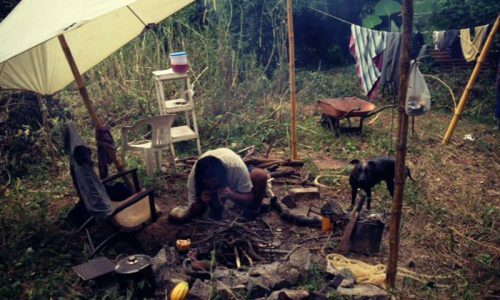 Formed as a multi-cultural caravan, Nomads United is founded upon values of environmentalism, community and alternative living. 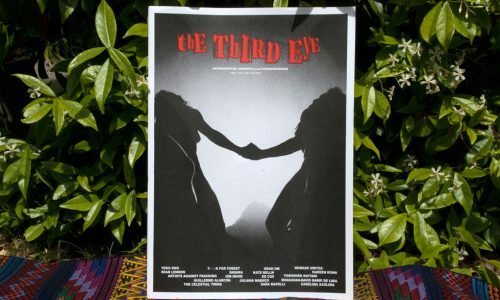 Check out their incredible story in The Third Eye magazine with an interview with Founder Kareen Kohn. 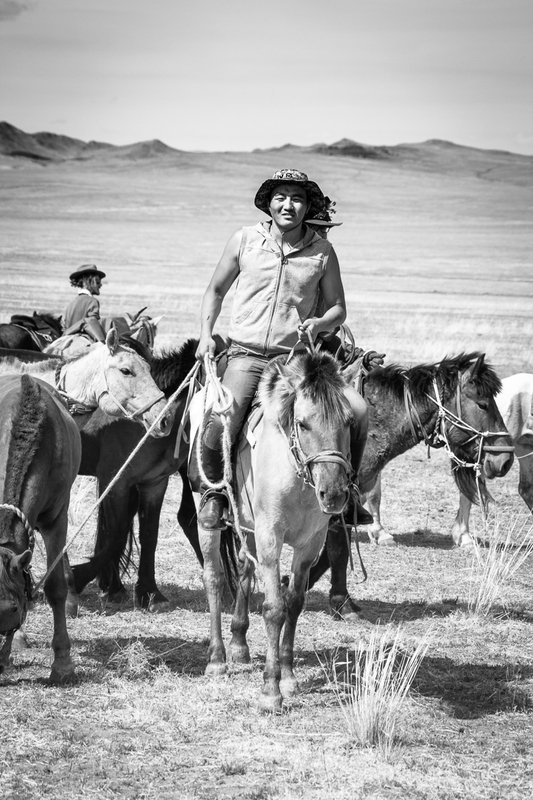 Currently in Mexico, the Central America Horse Caravan of Nomads United began in 2004 in Costa Rica and has been alive ever since, inspiring other caravans to start up, such as one now in Brazil moving south towards Uruguay, a European caravan on the move to Hungary, and of course the Mongolia Horse Caravan, which will continue “as long as the tribe wishes”, as the caravan says. 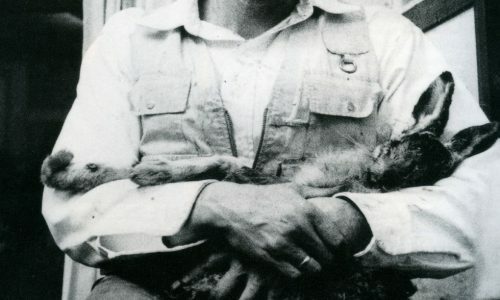 Joining the tribe is occasionally possible, as this is an evolving community. Nomadic home of the Horse Caravan in the steppe of Mongolia. 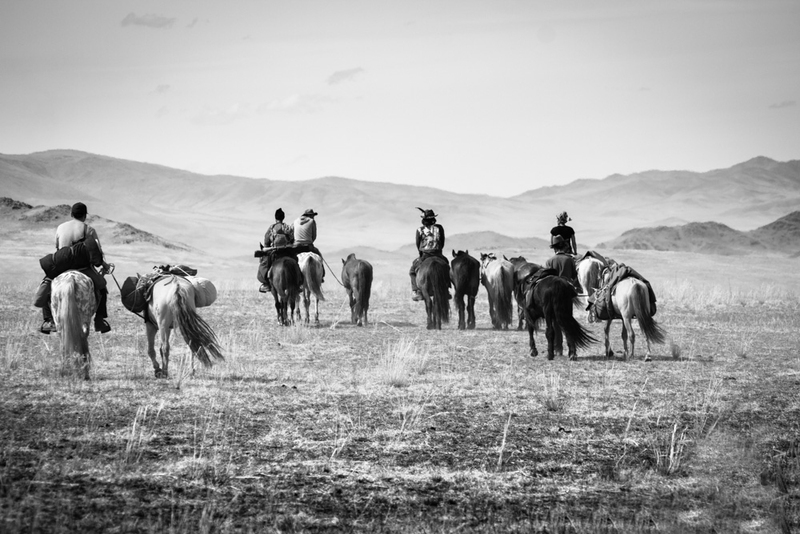 Photographed by Mongolia Horse Caravan. 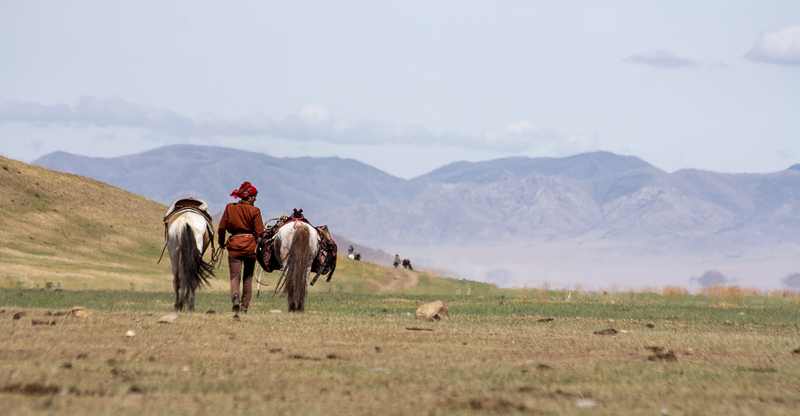 A view on the Mongolia Horse Caravan from a distance. 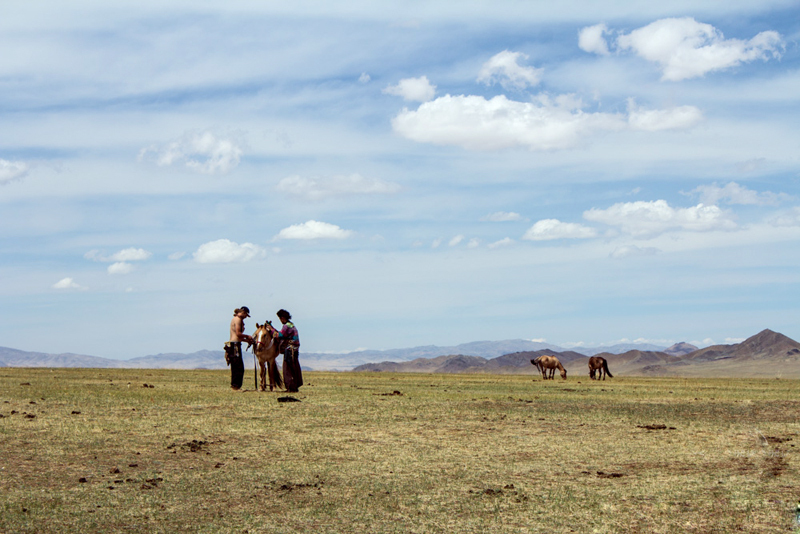 Adventuring in the wild steppe of Mongolia. 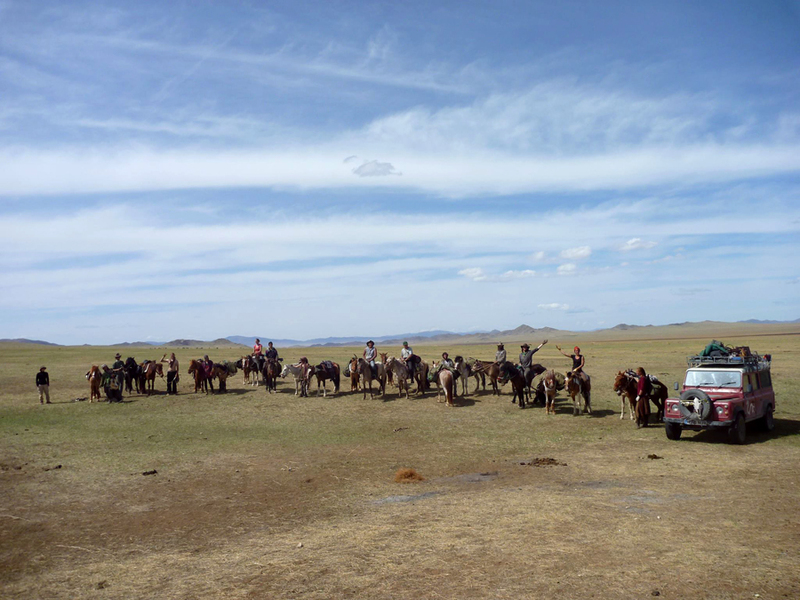 Members of the Mongolia Horse Caravan with their horses. 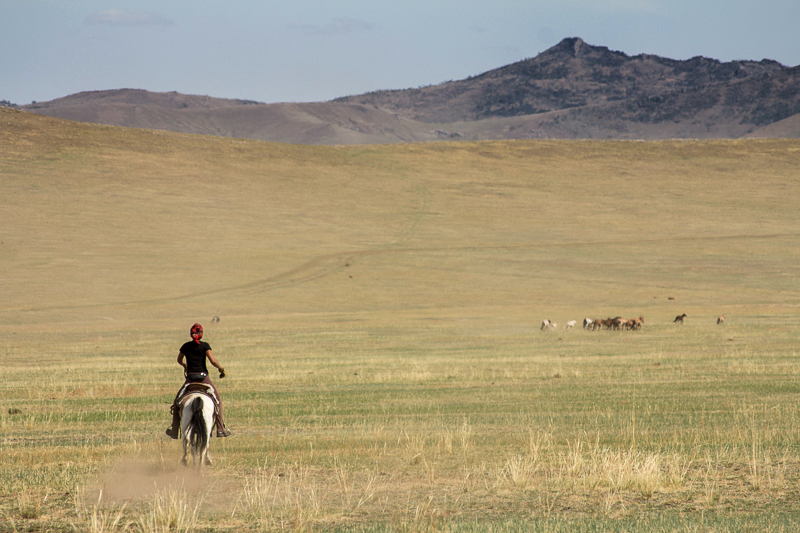 Free Spirit in the vast and beautiful expanses of the wild Mongolian steppe. Food circle at sunset, Mongolia.